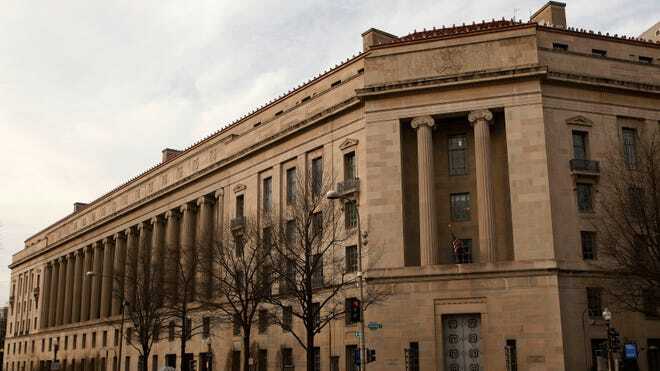 The instances of the Justice Department monitoring electronic communications such as phone calls, emails and even social network updates without a warrant has increased by as much as 60 percent in recent years, according to the American Civil Liberties Union. The surveillance tools – known as either a “pen register” or a “trap and trace” – record such information as phone numbers and the time and length of calls, but not the content. Orders to track phone calls increased 60 percent -- from 23,535 in 2009 to 37,616 in 2011 -- according to Justice Department documents, including ones recently acquired by the ACLU. Orders to track emails and computer network data increased by 361 percent over the same period, though the number of orders was less compared to those for phone calls. The ACLU argues the legal standard to use the devices is lower because they don’t capture content -- unlike wiretaps, which require a judge’s permission. And the government needs submit only to a court a certification stating that it seeks information relevant to an ongoing criminal investigation. However, the Justice Department said that in “every instance cited” in the documents a federal judge authorized the law enforcement activity. “As criminals increasingly use new and more sophisticated technologies, the use of orders issued by a judge and explicitly authorized by Congress to obtain non-content information is essential for federal law enforcement officials to carry out their duty to protect the public and investigate violations of federal laws," the agency said in a statement. Fox News' Steve Centanni contributed to this report.